White sand beaches, turquoise waters, mouth-watering food, and glorious sunshine. These are all hallmarks of Mexico’s famed Riviera Maya and the nearby resort city of Cancun on the Yucatán Peninsula. Unfortunately, one term that isn’t often associated with these locations is wheelchair accessibility. While Mexico has no laws comparable to the Americans with Disabilities Act (ADA), more and more beachside hotels and all-inclusive resorts are recognizing the market demand of wheelchair users who want to enjoy the Mexican sunshine like everyone else. 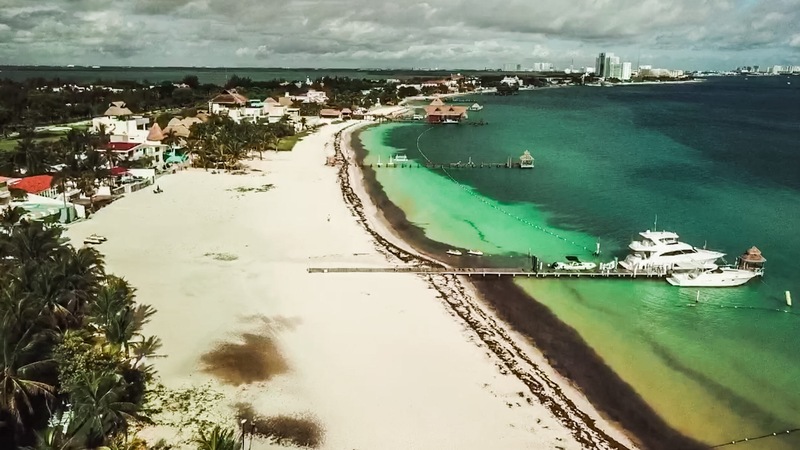 In my capacity as an accessible travel agent, I traveled to Cancun and Playa del Carmen in late May 2018 to conduct site inspections of 10 all-inclusive resorts (five in each area). My inspections focused on the wheelchair accessibility of the designated guest rooms, public areas and restaurants, pool areas, and beach access. I have separated the resorts into two categories: Mostly Accessible and Partially Accessible. Mostly Accessible: Because there is no ADA-type law in Mexico, there wasn’t a single resort I inspected that would 100 percent meet ADA requirements. However, there were five that met a considerable number of them, with only a few minor deviations or shortcomings. Examples include things like grab bars placed in not-ideal locations, steep ramps, lack of flat-entry beach access, or no roll-under sink (i.e. only one of each). The resorts I placed in this category can be enjoyed (in my opinion) by the vast majority of wheelchair users who can be just a bit flexible and/or accept the willing assistance of resort employees. Partially Accessible. These are resorts that get one major part right with regards to accessibility and the other major part “wrong.” For example, some resorts have amazing wheelchair accessibility across the property, to include paved beach access or mats, pool lifts, and accessible beachside toilets. Yet, the same resort won’t have a single fully accessible guest room. In other resorts, the rooms are perfectly accessible, but guests can’t access several parts of the property. I’ve chosen to list these anyway because many mobility aid users can still walk a few steps and use non-accessible rooms or bathrooms, and can take advantage of these resorts even with their accessibility limitations. Before reviewing the resort descriptions, please take a look at this brief video compilation of the five resorts designated as Mostly Accessible. It will help you better understand the summaries below with an image in your head – and will get you excited to visit Mexico!